Literally defined as a type of African tree and a musical instrument, Macumba has come to be a type of spiritual practice, as well as a term for witchcraft. Brought to Brazil along with slavery in the 16th century, the Christian church attempted to wipe out its practice. However, it continued to flourish, and nowadays, millions of people in Brazil continue to adhere to the beliefs of Macumba in its various forms. Macumba stems from the particular instrument which has its origins in West Africa, yet its exposure to Brazilian culture allowed it to evolve with European influences, Brazilian spiritualism, and Roman Catholicism. The African element, however, dominates with what scholars consider typical characteristics of this region’s spiritual rituals, such as outdoor sites, occasional animal sacrifice, spirit offerings, and ceremonial dancing. At night on Copacabana Beach, it is normal to see shallow pits in the sand lit with candles and filled with items such as cigarettes, cachaca, or food such as popcorn or farofa (Brazilian cassava flour). Known as despacho, these pits are an offering made to specific spirits in Macumba. 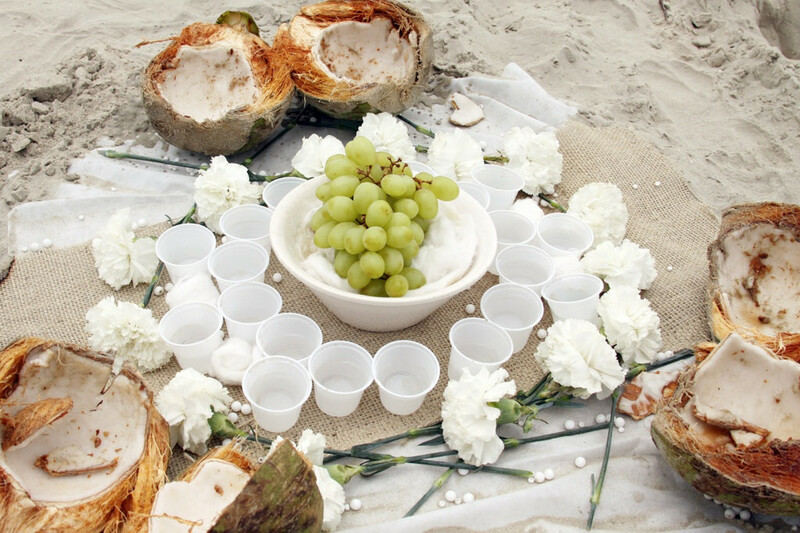 The type of offering depends on the spirit – some are associated with food, while others prefer candles and drinks. These offerings are made for personal reasons and are presents to the spirits or specific entities when asking for something such as love, money, strength, or even bad doings to an enemy. An important element of Macumba is the ceremony, known as a gira, that calls the spirit to embody a practitioner at the ritual and communicate with the others. Smoke from special herbs fill the room, and group members sing and pray in a circle to call up a particular spirit. It’s the mediums that often go into a trance and are able to talk with the spirit on behalf of the group. 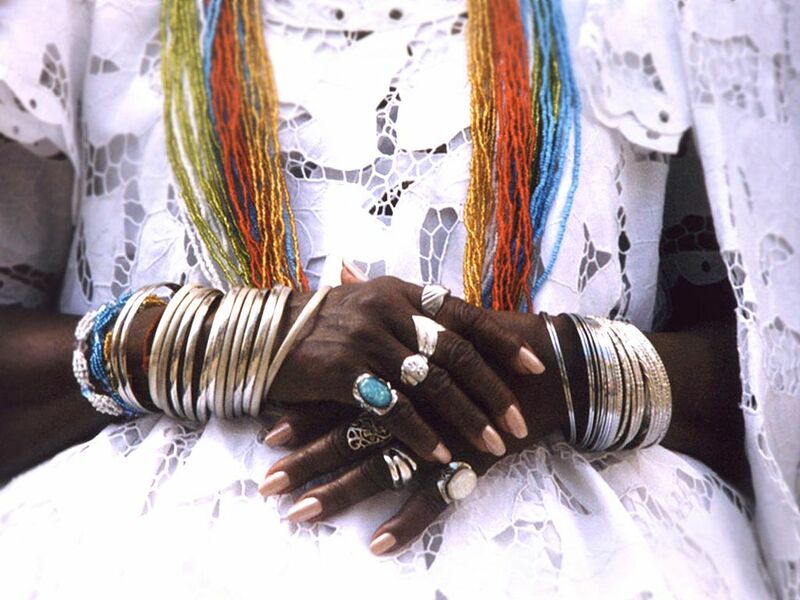 Mostly practiced in Bahia, Candomble is considered the most African in its characteristics. It came to Brazil in 1549, developed and embedded into the local culture by the West African slaves until 1888 when it then spread into society with the end of slavery. Oludumare is the supreme leader and creator of Candomble and is served by Orishas, a group of powerful yet lesser gods and goddesses. Music and dance are the most fundamental elements to Candomble as it lets practitioners become possessed by the gods and communicate with them. Offerings of stones, plants, and even animals are made to them to show respect when asking for advice. 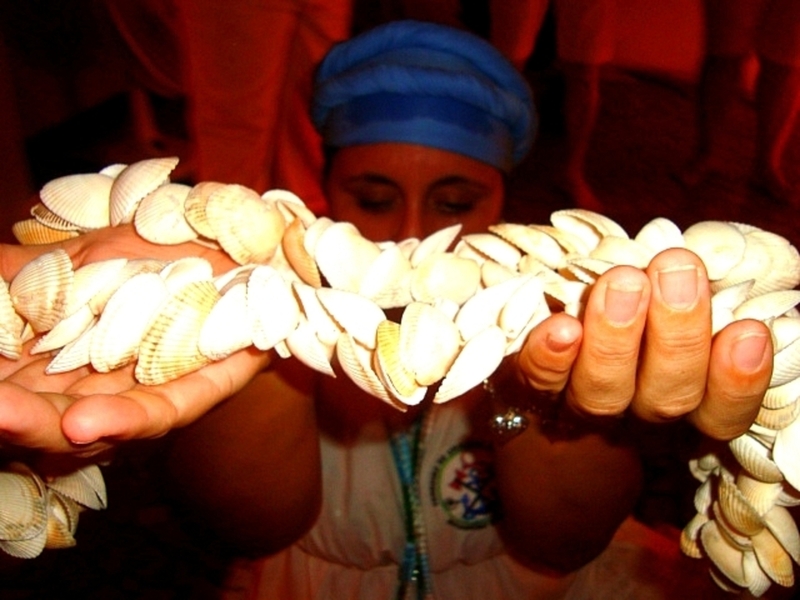 A key part of Candomble is the idea that good and evil is not important; rather, it teaches its worshippers to fully embrace their life purpose and steer their lives to accomplish it while reminding them that any bad inflicted on another person will come back to the person who caused harm. 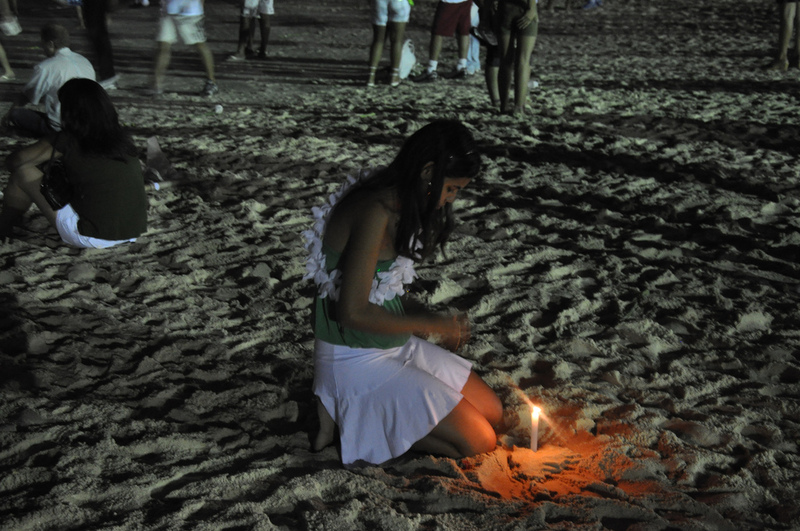 On New Year’s Eve in Rio de Janerio, it is common to see crowds of people leaving offerings in the sand or out at sea to the goddess Iemanjá, the queen of the ocean in Candomble beliefs. Umbanda is more commonly practiced in Sao Paulo or Rio de Janeiro, having supposedly originated from the latter. It is a distinct blend of African traditions with Roman Catholicism, Spiritualism, and some indigenous beliefs, and is reported to be more popular with the middle-class sector of society. The fundamental beliefs include reincarnation and spiritual evolution, echoing values found in Buddhism. Worshippers seek the advice of deceased spirits for guidance and counsel. Umbanda is referred to as “white magic” and is compared to Quimbanda, a set of beliefs that are considered black magic, yet the two sects are not mutually related.